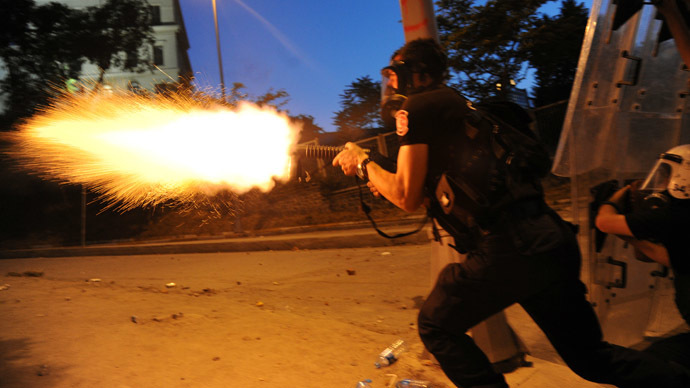 Clashes have erupted across Turkey following an activist's funeral, whose death sparked anti-government scenes of violence similar to those that engulfed the country in the summer. The protests started in the southern province of Hatay on Tuesday when anti-government activists marched following the funeral of a 22-year-old student, Ahmet Atakan. A group of protesters launched a firecracker at security forces, who responded with tear gas and water cannons. 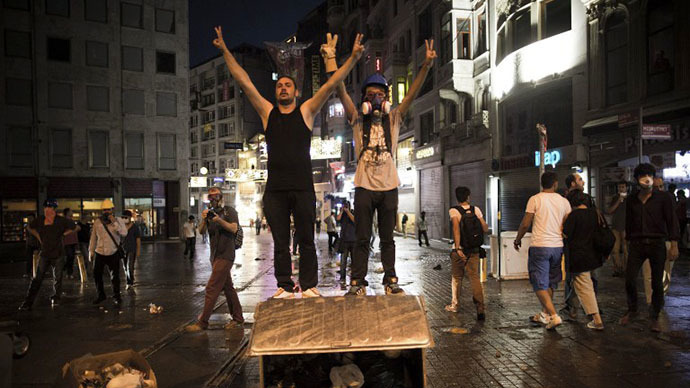 Meanwhile, in central Istanbul, hundreds marched to Taksim Square, where they were met by riot police. Water cannons, tear gas and rubber bullets were used to disperse the angry crowd. Activists responded by throwing various projectiles at the police as they were chased onto side streets. In Ankara, the Turkish capital, protesters were also dispersed with water cannons and tear gas when more than 1,000 people gathered on a central square. 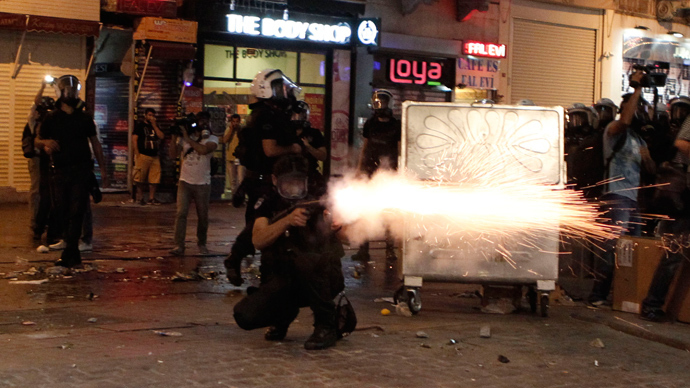 Ahmet Atakan is the sixth anti-government protester killed in Turkey since mass rallies began in June. 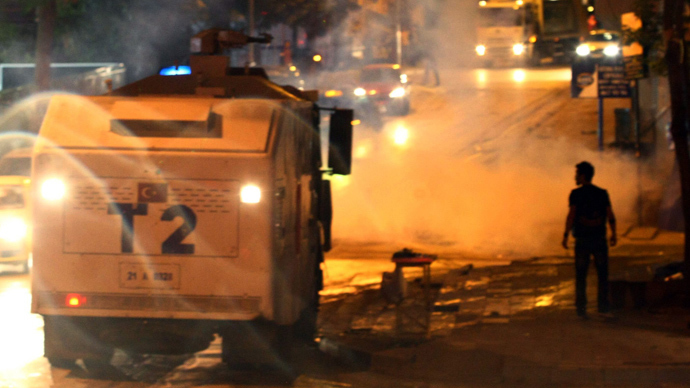 Atakan was killed on Tuesday after allegedly being struck by a tear gas canister which caused fatal head wounds. But police denied these reports, claiming the student fell from a building and that law enforcement agencies were not involved. 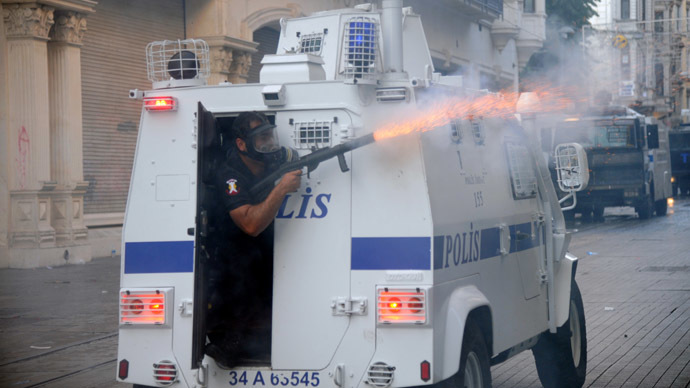 The latest violence is reminiscent of the widespread unrest which started in May, when police violently dispersed peaceful activists in Istanbul's Gezi Park, near Taksim Square. 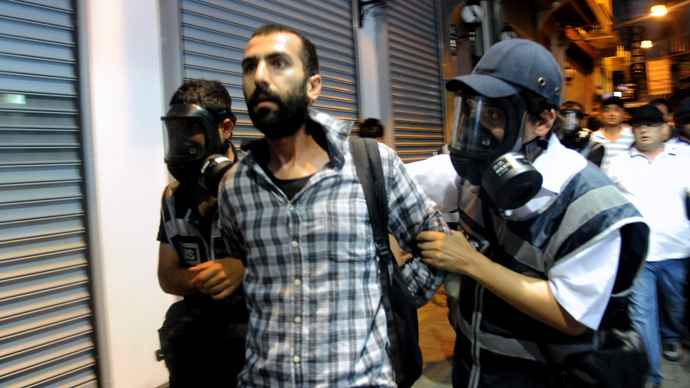 Subsequently, clashes with police took place across Turkey as activists protested issues of freedom of the press, freedom of expression, freedom of assembly, and the government's violation of Turkey's secularism.